This week’s project was fun! 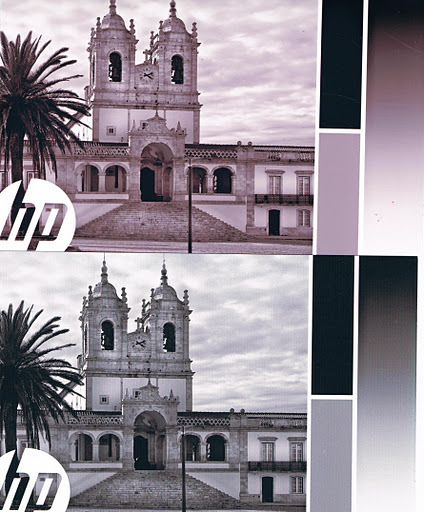 I got to print a bunch of pictures and compare the HP Ink to the Refilled Cartridge. No problems with the refill cartridge and at first I thought both printers were equal quality. Then I looked at them in better light. The colors were similar with both print (green seems to be more definitive on the Refill Ink print) but there was definite banding on the refill print. It is not obvious; look close at the pants on the right and you can see the lines. These lines were visible on all the pictures I printed today. Also on the list for today was to print some stock pictures that will be compared each week. Side by side the colored photos were very similar both to comparing HP to Refill and to last weeks. But, there was a big difference between B&W picture from last week to this. Both Refill Ink Photos. Week 1 on top. The B&W photo from this week is much more what I would expect the gray scale to be. Week 1, in comparison is almost sepia tone. 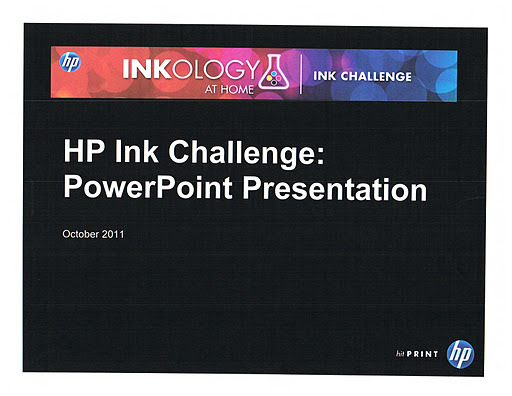 The final project this week was to print a project from the HP website. 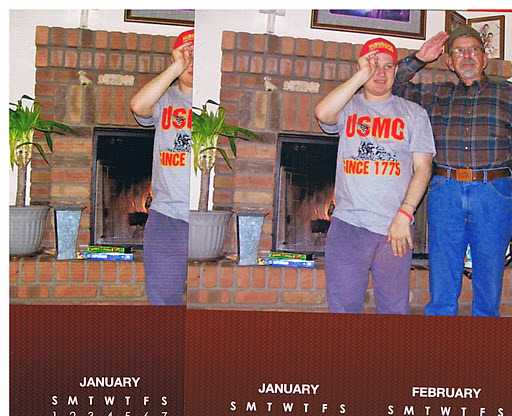 I found a terrific calendar with lots of red and room for a photo. 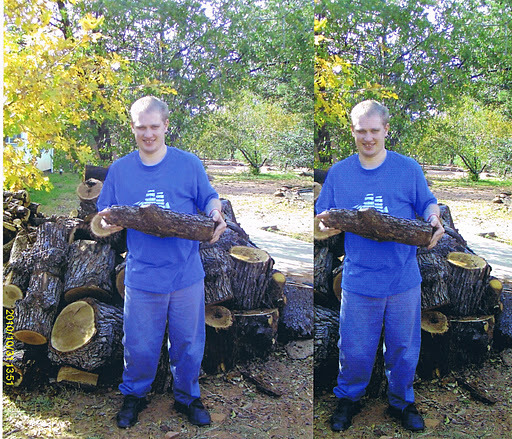 Both pictures printed very similar colors but the Refill Ink had definite banding. Before I print again I am going to do a ink head cleaning with the Refill Cartridge. Of course, downside to this is that it uses up my ink. So the end result: Week 2= HP Wins!